The set list was long with most of the groups being allowed to sing their whole song live, while others came on for a segment of their song before being rushed off stage. These were the groups who had pre-recorded their performances earlier in the day. It was somewhat surreal being able to watch a group live on stage while at the same time watching the monitor showing what the TV audience was seeing. We also realized that not all the audience reactions were necessarily ours. The fan chants were not all spontaneous either. There was a small group of the audience who were given sheets of paper with the fan chants written on them and who were directed by a member of staff who to chant for. Needless to say there were fans for many of the groups who naturally chanted for their favorite groups, particularly for the girl groups. The Show doesn’t always get all the ‘big’ names and so the lineup was rookie heavy with a debut and some comebacks. 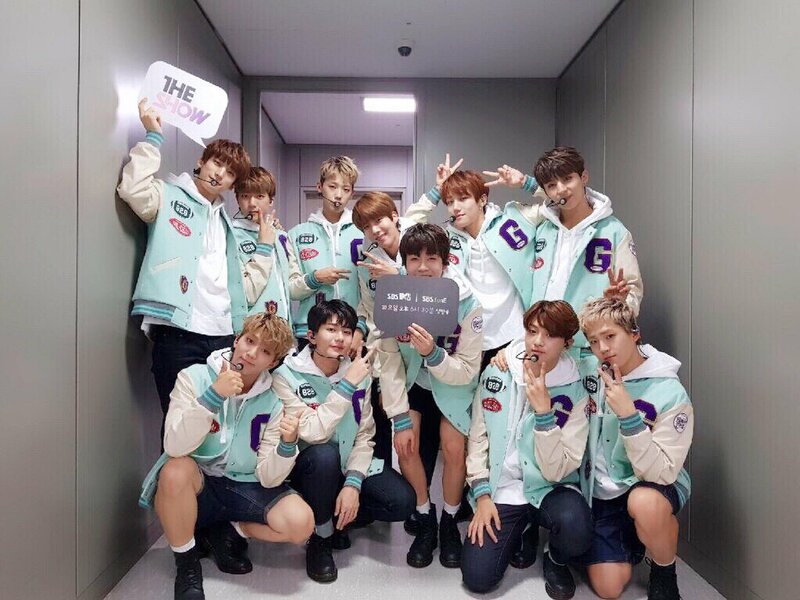 My daughter, who went with me and who is not really into Kpop, noted that the lineup seemed to have a large group of ‘baby boy’ groups and I think that was true. Rainz, TRCNG, Masc, and Golden Child in turn all filled the stage which was rather small to begin with. The lineup included sixteen acts; DIP, HashTag, Miso, Rainz, FlaShe, Walwari, TRCNG, Cando, Masc, Park Jae Jung, Golden Child, B.P. 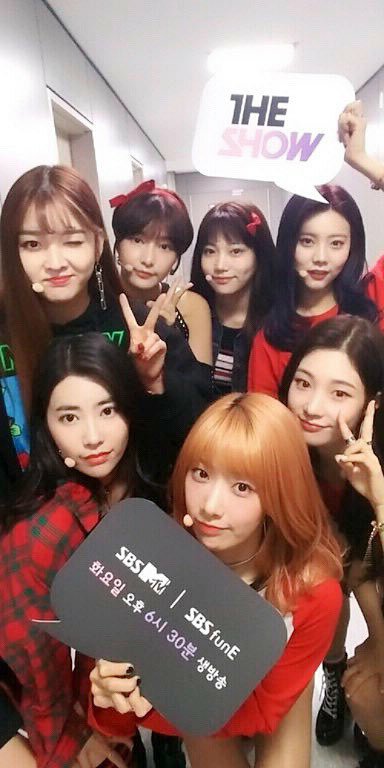 Rania, DIA, Jung Dong Ha, April, and Bolbbalgan 4. 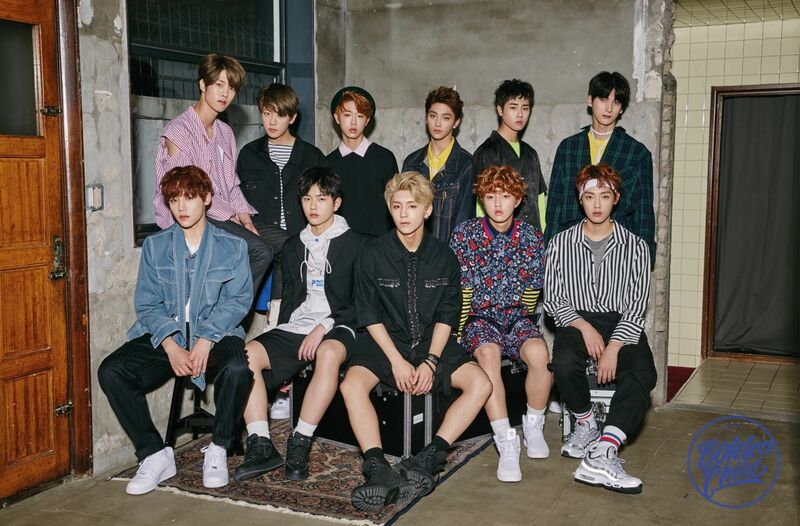 Golden Child performed the ‘earworm’ song Damdadi and I couldn’t get it out of my head for hours. Having said that I thoroughly enjoyed their performance which was enthusiastic and full of youthful charm. Although a mix of ages the overall feel was that of freshness and vigor. I feel as if there is a lot of talent and potential in this group. Rainz also gave a good performance, as did most of the other groups. Unfortunately when so many Kpop groups have large numbers of members and similar themes sometimes it is hard for them to stand out from each other. Being mostly younger groups they are also heavily dependent on the advice and instruction from their staff members. TRCNG and Masc were somewhat let down by their stylist as they wore colorful outfits against a very colorful stage backdrop so it was difficult for them to stand out against it. Overall the performers put on a great show and it was interesting to see just how a TV program like this is actually produced. It was also interesting to see just how much of a ‘live’ show is actually live. If you get a chance I recommend the experience, you won’t regret it. You are not allowed to take photos or record any of the show, and are strictly warned against doing so. This is in line with most Korean music shows, M Countdown even had staff telling people put a piece of tape over their phone camera lenses. We went to a M Countdown recording back in 2015 and while it had more well known artists it was standing room only and had a much longer wait time to get in. The Show had some standing, but was mostly seated which was nice. Foreigners can often get advance tickets through tour groups such as Trazy and Hanna Tours among others. We used Trazy and I’m sorry to say I cannot recommend them. Yes we got to see what we paid for, but the surrounding service was only adequate for The Show, and very poor when we went to see the opening ceremonies for the Asia One Festival in Busan. Look for other companies that offer the same service before deciding who to buy from and start looking a while before you go because seats sell out quickly. After the recording ended we decided to hang around afterwards to see if we could spot any of the artists leaving. There appeared to be 2 foot entrances and 1 vehicle one. We followed the screams and joined the waiting crowd. We spotted quite a few groups through the glass windows and then some exiting the building on foot to get to their vans, and then saw some driving by. Masc surprised everyone by actually getting out of their van to talk to fans and to thank us for our support. Our photos didn’t come out too well as it was dark out with lots of lights and shiny reflective surfaces, but if you look closely I think you may recognise a few idols. Photo credits to original owners. 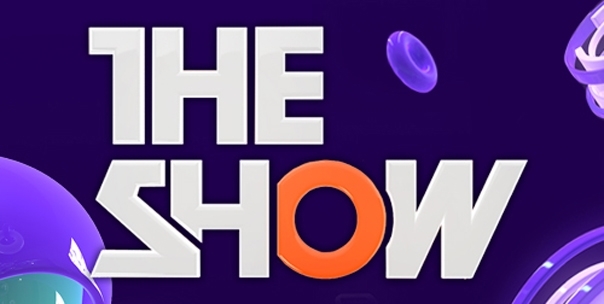 2-5 to SBS The Show. first one and last 3 to D & E Marzec. You may also enjoy Seventeen Diamond Edge Concert in Dallas, JJCC First Appearance in America, and MonstaX Beautiful in the USA. ← The Horses Of Jeju.